​Atletico Madrid have reportedly reached an agreement with Porto defender Alex Telles, and will soon open negotiations with the club to try and agree a fee. The 26-year-old has excelled in his three years in Portugal, establishing himself as one of the world's most exciting left-backs. The position has been the subject of much debate at Atletico, with Lucas Hernandez heavily linked with a move to Bayern Munich, whilst Filipe Luis finds himself out of contract at the end of the season. News of the agreement between ​Atletico and Telles comes from Portuguese outlet ​A Bola, who state that Telles' representatives recently travelled to Madrid to negotiate a deal. 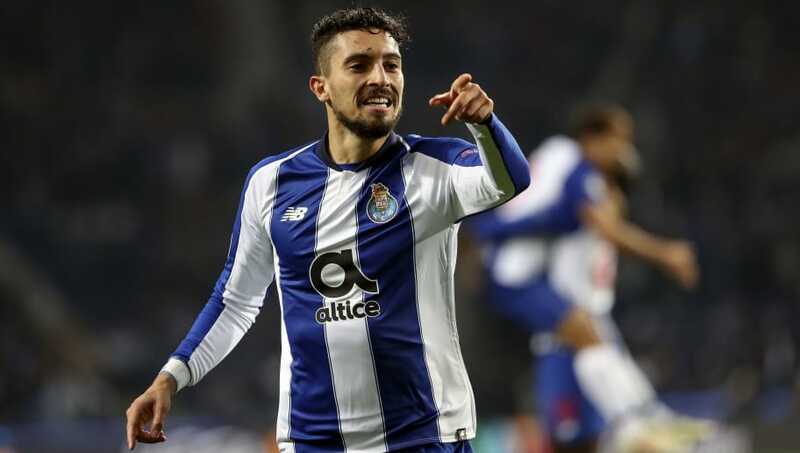 The two parties have reportedly agreed on a salary and the duration of a potential contract, and Atletico must now negotiate a transfer fee with Porto. The Brazilian is under contract until 2021 and has a release clause of €40m, although Atletico are reluctant to pay such a fee. Instead, they are hoping to negotiate a reduction in the fee, given that Telles is keen on making the move. Porto have always proven to be willing to part with their stars as long as they receive a satisfactory offer, with the likes of ​James Rodriguez, Radamel Falcao and Jackson Martinez all leaving the Estadio do Dragao in recent years. Telles has been linked with several of Europe's top sides in the past. The likes of ​Chelsea, ​Real Madrid and ​Juventus have all been interested in the defender, but it appears as though Atletico have moved ahead in the race for his signature. Manager Diego Simeone is thought to be incredibly keen on signing Telles, given the uncertainty surrounding the futures of both Lucas and Luis. In late 2018, there were rumours of an €85m bid from ​Bayern for Lucas Hernandez, and Bayern sporting director Hasan Salihamidzic confirmed to ​Bild that they remain interested in the Frenchman.